With Only 3% of Indians Shopping Online, Indian Ecommerce Is Not Even In Top 30 Globally! Despite billion dollar valuations and multi-million dollar investments in Indian ecommerce portals, we are way, way behind other ecommerce markets globally. 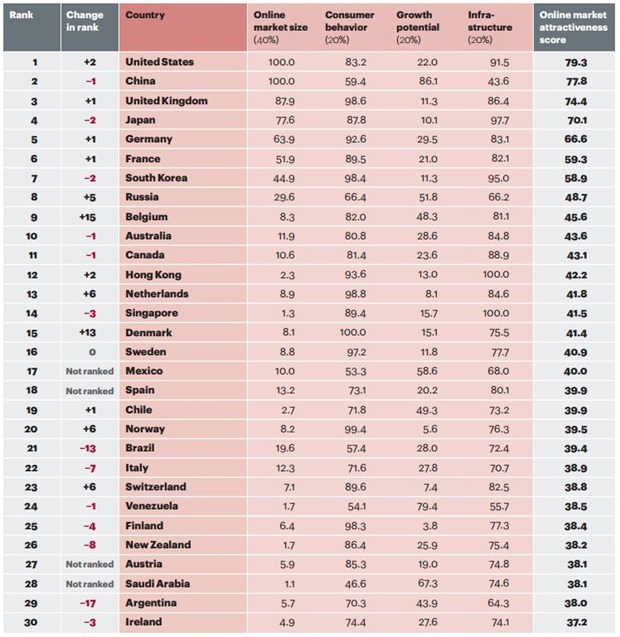 Infact, as per a recent study of global ecommerce by management consultancy AT Kearney, we are not even in the top 30 of world’s ecommerce market. The study: “Global Retail E-commerce index” states that 39 million (3.9 Cr) or less than 3% of India’s population have ever bought something online, a percentage which is below countries like Saudi Arab and Ireland, which are much smaller countries. The good thing is that we witnessed one of the highest growth in ecommerce segment at 27% to reach $3.8 billion, and 21% is the projected growth rate for the next 5 years. But at present, we are not in the global ecommerce map. Globally, ecommerce market is worth $840 billion, which increased 20% compared to 2013 (hence, India experienced more growth compared to global average). With market size of $238 billion, USA topped the chart to emerge as undisputed leader of ecommerce, globally. Interestingly, ecommerce is just 10% of USA’s total retail market, wherein in India, ecommerce is just 3% of total retail. China is world second biggest ecommerce market, as 30% of its population has purchased online, and 80% of them does regular online shopping. Alibaba reported that on Singles Day (November 11), they sold more than $9.3 billion worth of goods in China, which is 7% of their annual sales. Belgium, with a population of 11.5 million (New Delhi has 16 million), reported the fastest growth of ecommerce as it climbed 15 places in the last 12 months. Such similar high profile growth rates were experienced by Mexico, Spain, Brazil and Saudi Arabia. 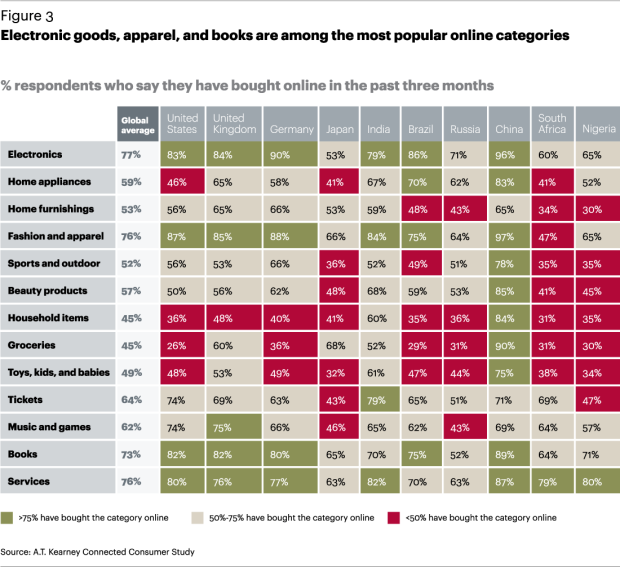 Interestingly, Fashion and Apparel was the number one category for Indians who make online purchases. Electronics and Tickets were the next 2 most popular categories. All three had much higher percentage of people buying compared to Global averages. Internet connectivity & speed has been termed as one of the biggest deterrents to ecommerce growth. As we had shared earlier, more than a billion people in India are still without Internet, and those who are able to access it are discouraged by slow speed. With only 2 MBPS average speed, we are ranked 116th in the whole world in terms of access of Internet. Only 69% of those who access Internet have broadband connectivity. And now, the anti-net neutrality plans being offered by telecom players can further dent the expansion of ecommerce, as consumers would be stuck with the options which our telecom players provide to consumers. Expansion of ecommerce needs some major push from the Government, and telecom players. We hope things improve in the coming days. You can access the report: “Global Retail E-commerce index” here. 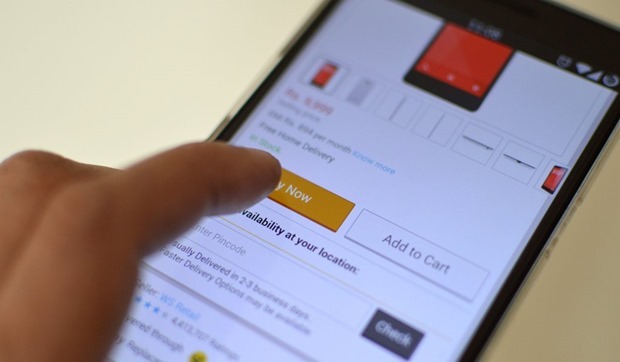 What, as per you, is hindering India’s ecommerce market? Do share your views by commenting right here! "With Only 3% of Indians Shopping Online, Indian Ecommerce Is Not Even In Top 30 Globally! ", 5 out of 5 based on 1 ratings. In india there is not a single mobile operator who gives good 3G speed. I have tried with many 3G services of Reliance GSM, Airtel, Vodafone, MTNL, but i was not satisfied with any. Sometimes there is no 3G network at all. We are paying for 3G plan to get better speed but till now its a nightmare to even think about that speed. TRAI should look and take action against these operators. Due to slow speed we afraid to pay online as our money gets blocked due to transaction error.